Firefox OS is now available on three continents with 12 smartphones offered by 13 operators in 24 countries. As the only truly open mobile operating system, Firefox OS demonstrates the versatility of the Web as a platform, free of the limits and restrictions associated with proprietary mobile operating systems. Three new smartphones have been launched in India and one in Bangladesh over the last few weeks, offering not only more affordable choice but the advent of a brand new ultra low-cost category. Firefox OS is now available in Central America through Telefónica with launches in El Salvador, Panama, Nicaragua and Guatemala, and Deutsche Telekom launched the first Firefox OS devices in the Czech Republic and Macedonia. ALCATEL ONETOUCH launched the Fire C in India, available on Flipkart.com. Spice Retail Limited launched the Spice Fire One Mi – FX 1 in India. The phone is available on Snapdeal.com. Intex Technologies introduced the Cloud FX as the first Firefox OS smartphone in India, bringing a new device to the ultra-low cost category of smartphones. The Cloud FX is available on Snapdeal.com and also through Intex distribution channels. 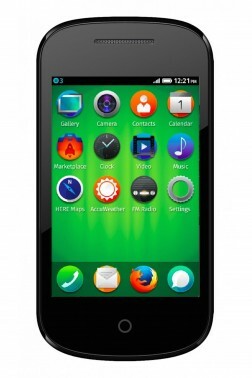 Zen Mobile will launch a Firefox OS phone in the ultra low cost category in India in October. This will bring the number of devices for sale in that country to four. Telenor via Grameenphone expanded its reach of Firefox OS phones from Europe to Bangladesh with the latest version of Firefox OS in the new GoFox F15. This includes better imaging features such as pinch zoom, HDR and a self timer. KDDI recently confirmed it will release a Firefox OS phone in Japan this December. KDDI also announced the release of an app development platform consisting of the Open Web Board, an HDMI-based development stick based on Firefox OS; Gluin, an application development tool for programming the board and an idea portal for developers to share and discuss app ideas. In the past few months, Telefónica has brought Firefox OS to El Salvador, Panama, Nicaragua and Guatemala with the launch of the ZTE Open II. Telefónica will also launch the Alcatel ONETOUCH Fire C device in Costa Rica before the end of the year, completing the Firefox OS footprint in Central America. Telefónica Uruguay added three new Firefox OS devices to its portfolio: the ZTE Open C, ZTE Open II and ALCATEL ONETOUCH Fire C. Telefónica customers in Colombia and Peru can now purchase both ZTE Open II and ALCATEL ONETOUCH Fire C devices. Telefónica will launch Firefox OS devices in Argentina for the first time before the end of the year, and with the addition of Ecuador in the coming months, Firefox OS will soon be present in all of Telefónica’s Latin American markets. América Móvil, which launched Firefox OS phones in Mexico earlier this year, is committed to continue expanding its offering in Latin America. Deutsche Telekom via congstar was first to start selling ALCATEL ONETOUCH Fire E devices in Germany. These are now available online at www.congstar.de and in more than 700 Telekom shops across the country. Telefónica’s O2 Germany started to sell its first Firefox OS devices, the Alcatel ONETOUCH Fire E smartphones. Telefónica via Movistar started to sell ALCATEL ONETOUCH Fire C devices in Spain. With the launch of the ALCATEL ONETOUCH Fire E, Deutsche Telekom brought Firefox OS smartphones to the Czech Republic for the first time. Deutsche Telekom via T-Mobile Poland started to sell the ALCATEL ONETOUCH Fire E in Poland. Deutsche Telekom via COSMOTE started to sell the ALCATEL ONETOUCH Fire E in Greece. Deutsche Telekom launched the ALCATEL ONETOUCH Fire C with Firefox OS in Macedonia for the first time.